"London Hospital" redirects here. For the BBC TV series, see Casualty 1900s. The Royal London Hospital is a large teaching hospital in Whitechapel, London. It is part of Barts Health NHS Trust. The Royal London provides district general hospital services for the City and Tower Hamlets and specialist tertiary care services for patients from across London and elsewhere. There are 845 beds, 110 wards and 26 operating theatres at the Royal London Hospital. The new building opened in February 2012. The Royal London was founded in September 1740 and was originally named the London Infirmary. The name changed to the London Hospital in 1748, and in 1990 to the Royal London Hospital. The first patients were treated at a house in Featherstone Street, Moorfields. In May 1741, the hospital moved to Prescot Street, and remained there until 1757 when it moved to its current location on the south side of Whitechapel Road, Whitechapel, in the London Borough of Tower Hamlets. The hospital's roof-top helipad is the London's Air Ambulance operating base. The helicopter is stored overnight at RAF Northolt. On 3 November, the London Infirmary opened in a house on Featherstone Street, Moorfields. The staff consisted of one surgeon, physician and apothecary; and was operated as a voluntary hospital, in which patients were not charged for treatment and their care was funded charitably from annual subscription fees. Medical students had been recorded as studying under the staff of the London Hospital as private pupils since the year it had begun, however it was not until 1785 that the London Hospital Medical College was founded; chiefly through the efforts of William Blizard, the hospital's surgeon. Private medical schools had been long established, but the London College was the first medical school in England and Wales organised in connection with a hospital. :49,162 It amalgamated in 1995 with St Bartholomew's Hospital Medical College, under the aegis of Queen Mary and Westfield College to become St Bartholomew's and the Royal London School of Medicine and Dentistry. Joseph Merrick, known as the "Elephant Man", was admitted to the hospital in 1886 and spent the last few years of life there. His mounted skeleton is currently housed at the medical school, but is not on public display. In the late 1890s, Edith Cavell, who later helped some 200 Allied soldiers escape from German-occupied Belgium during the First World War, trained and worked as a nurse at the hospital. In the early part of the twentieth century the hospital sent out 160 nurses to work unsupervised in private houses. This earned £4,000 a year, a profit of £1,700. In 1990 the Queen visited the hospital and added "Royal" to the name, to celebrate the 250th anniversary of its founding. The present School of Nursing and Midwifery was formed in 1994 by the merger of the schools from St Bartholomew's Hospital and the Royal London Hospital to become the St Bartholomew School of Nursing & Midwifery. Prior to this, the school of nursing was known as the Princess Alexandra College of Nursing and Midwifery. In 1995 the new Nursing School was incorporated into City University, London. In March 2005 planning permission was granted for the redevelopment and expansion of the Royal London Hospital. The scheme was procured under a Private Finance Initiative contract in 2006. Sited on the grounds of the existing hospital, the works involved the replacement of certain of the hospital's old facilities, some of which date back to when the hospital moved to its existing site in 1757. The works also involved the creation of a new trauma and emergency care centre and substantial new renal and paediatric facilities. These works, which were designed by HOK and undertaken by Skanska at a cost of £650 million, were completed in 2015. The old hospital buildings are being converted into a new civic centre for Tower Hamlets Council. The Royal London has a museum which is located in the crypt of a 19th-century church. It reopened in 2002 after extensive refurbishment and is open to the public free of charge. The museum covers the history of the hospital since its foundation in 1740 and the wider history of medicine in the East End. It is a member of the London Museums of Health & Medicine. It includes works of art, surgical instruments, medical and nursing equipment, uniforms, medals, documents and books. There is a forensic medicine section which includes original material on Jack the Ripper, Dr Crippen and the Christie murders. There are also displays on Joseph Merrick (the 'Elephant Man') and former Hospital nurse Edith Cavell. 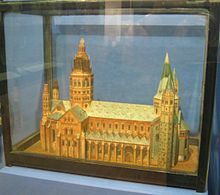 There is the model of a church in the hospital that was built by Joseph Merrick who spent the last few years of his life at the hospital. The Royal London's archives contain documents dating back to 1740, including complete patient records since 1883. The collections are searchable on the Barts Health NHS Trust online catalogue, which contains information on over 50,000 entries and covering an 800-year span. Barts and the London NHS Trust, now absorbed into Barts Health NHS Trust, consists of four tertiary hospitals, St. Bartholomew's, the Royal London, Whipps Cross and Newham General, together producing some of the best clinical outcomes in the UK – evidenced by one of the best survival records in the NHS. The Royal London Hospital treats over 1,400 injury patients annually, more than any other centre in the UK. The Royal London Hospital is part of a citywide initiative to transform London's emergency and trauma services. In 2010, the London Trauma System was implemented to provide Londoners with world-class trauma care. The network is believed to be the largest of its kind in the world. The System comprises four existing London hospitals, the Royal London Hospital (Whitechapel), King's College Hospital (Denmark Hill), St George's Hospital (Tooting) and St Mary's Hospital (Paddington), supported by a number of trauma units located in various A&E departments where patients with less serious injuries receive treatment. The hospital claims "some of the best clinical results in the UK". Nevertheless, five surgeons resigned in 2011, one of whom blamed shortages of beds, nurses and supplies for shortcomings in care while patients wait for necessary operations. The hospital's Medical Director issued a statement acknowledging that some aspects of orthopaedic care had fallen short of the hospital's high standards, and announced a review by the Royal College of Surgeons. It also referred to the difficulties of using outdated buildings, and looked forward to the forthcoming move to the brand new hospital building which would increase theatre capacity. London Buses routes 25, 106, 205, 254, N205 and N253 serve the hospital, with bus stops located on Whitechapel Road. Route D3 also serves nearby New Road, and Routes 15, 115, 135, N15 and N135 serve nearby Commercial Road. The nearest station is Whitechapel, served by the District and Hammersmith & City lines of the London Underground and the East London Line of the London Overground. The TV series Casualty 1900s is set at the Royal London, and follows the everyday life of the hospital throughout these years. Some of the storylines are based on actual cases drawn from the hospital records. The TV comedy drama series Crashing (2016), which follows the lives of six property guardians living in a disused London hospital, was filmed at the Royal London. ^ a b c d e Clark-Kennedy, A. E. (1962). The London: A Study in the Voluntary Hospital System. London: Pittman Medical Publishing Company. ^ "The early history of the Royal London Hospital, 1740–1800". Survey of London. Retrieved 20 April 2018. ^ "Records of the London Hospital, Whitechapel". National Archives. Retrieved 13 April 2018. ^ Abel-Smith, Brian (1960). A History of the Nursing Profession. London: Heinemann. p. 6. ^ "Royal London Hospital". RMD Kwikform. 11 July 2011. Retrieved 9 April 2011. ^ "Delivering State-of-the-Art Care in London". HOK. Retrieved 13 April 2018. ^ "£650 Million Royal London Hospital Opens Doors". Health Estate Journal. 15 March 2012. Retrieved 5 May 2018. ^ "London's Tower Hamlets Council approves £100m civic centre". Construction Enquirer. 2 March 2018. Retrieved 20 April 2018. ^ Jones, Richard (2003). Frommer's Memorable Walks in London. John Wiley and Sons. p. 89. ISBN 978-0-7645-6743-8. ^ "Joseph Merrick". Biography.com. Retrieved 13 April 2018. ^ a b "Improving clinical quality". Barts and The London. Retrieved 9 December 2011. ^ Trauma, Barts and the London Link. Retrieved 7 December 2011. ^ London's trauma system, NHS London Trauma Office. Retrieved 7 December 2011. ^ "Capital gets new trauma network". BBC News. 5 April 2010. ^ About the system, NHS London Trauma Office. Retrieved 7 December 2011. ^ Davey, Ed (1 December 2011). "Barts and the London Hospital surgeons quit over 'dangerous' situation". BBC News. Retrieved 9 December 2011. ^ "Statement from Dr Steve Ryan, Medical Director". Barts and The London NHS Trust. 2 December 2011. Archived from the original on 9 December 2011. Retrieved 9 December 2011. ^ "Royal London Hospital". Barts Health NHS Trust. Retrieved 25 October 2018. ^ "Casualty 1909". BBC. Retrieved 13 April 2018. ^ "Crashing". IMDB. Retrieved 29 September 2018. Grant, Sally (1995). Edith Cavell 1865-1915. Dereham, Norfolk: Larks Press. ISBN 978-0948400285. Sheila M. Collins (1995). The Royal London Hospital: A Brief History. Royal London Hospital Archives and Museum. ISBN 0-9517976-1-1. Wikimedia Commons has media related to Royal London Hospital.